After years of preparation, observsation and data analysis, an international team of astronomers has accomplished a feat once thought impossible by definition: capturing a direct image of a supermassive black hole, or rather the event horizon that marks the boundary between normal space and the unknowable interior. During simultaneous news conferences around the world on 10 April, the Event Horizon Telescope team unveiled a mesmerizing photo showing the dark hiding place of the 6.5-billion-solar-mass black hole lurking at the core of the giant elliptical galaxy M-87 some 65 million light years away. 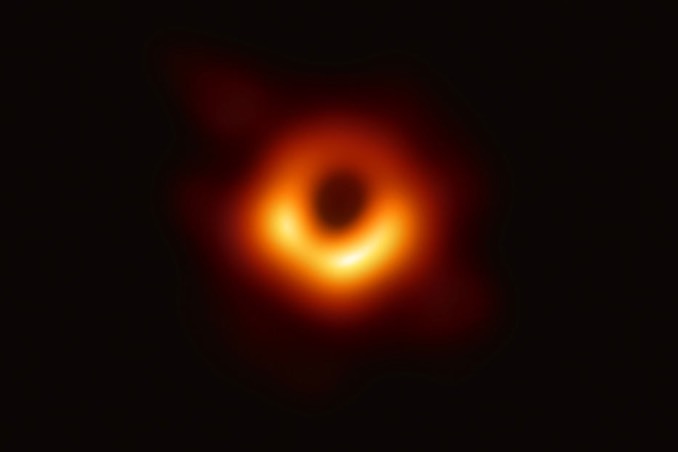 The image unveiled by Doeleman shows a doughnut-like structure or orange light surrounding a black central core — the event horizon of M-87’s supermassive black hole. The encircling ring of light is made up of photons emitted from accelerated particles of gas and dust being pulled toward and around the event horizon at near light speed. The historic image closely matches the predictions of Einstein’s theory of general relativity. The globe-spanning network of radio dishes, atomic clocks and computers making up the Event Horizon Telescope also is expected to image Sagittarius A*, or Sgr A* for short, the supermassive black hole at the heart of the Milky Way. Unlike the beast powering M-87, Sgr A* is a relatively modest 4.3-million-solar-mass black hole filling a volume smaller than Earth’s solar system. It is located 26,000 light years away in the core of the Milky Way, generating enormous gravitational effects that can be seen in the motions of nearby stars. Those motions at the core of the galaxy have been studied for years, providing the mass of the hole along with other insights, but no one has actually viewed the black hole itself. 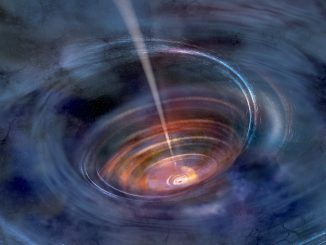 Astronomers using data from NASA’s Fermi Gamma-ray Space Telescope have detected hints of periodic changes in the brightness of a so-called “active” galaxy, whose emissions are powered by a supersized black hole. 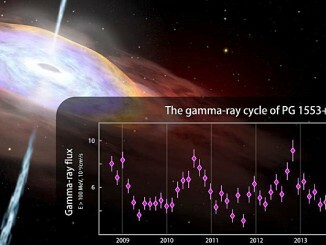 If confirmed, the discovery would mark the first years-long cyclic gamma-ray emission ever detected from any galaxy, which could provide new insights into physical processes near the black hole. Astronomers can’t find any sign of the black hole at the centre of the quasar SDSS J1011+5442, and they couldn’t be happier. The black hole is still there, of course, but over the past ten years, it appears to have swallowed all the gas in its vicinity. 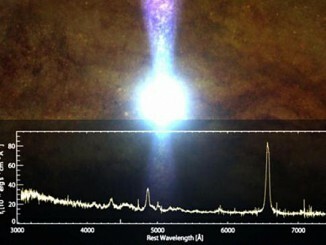 With the gas consumed, researchers were unable to detect the spectroscopic signature of the quasar, which now appears as an otherwise normal galaxy.